If you’re not an audiophile, $500 is a lot of money to spend on a pair of headphones - and while the Nuraphones sound good, I don’t think they sound that good. It’s not unusual for a pair of headphones to be billed as better but pretty rare to find a set that promises to be smarter about the sound they offer. At a time where are more and more tech companies are adopting the idea that future of consumer tech lies in personalisation, it’s actually a little surprising. Almost every digital product and service out there is trying to leverage user data into a better end-experience, why should headphones be any different? It’s into that niche that Nuraphones fit. 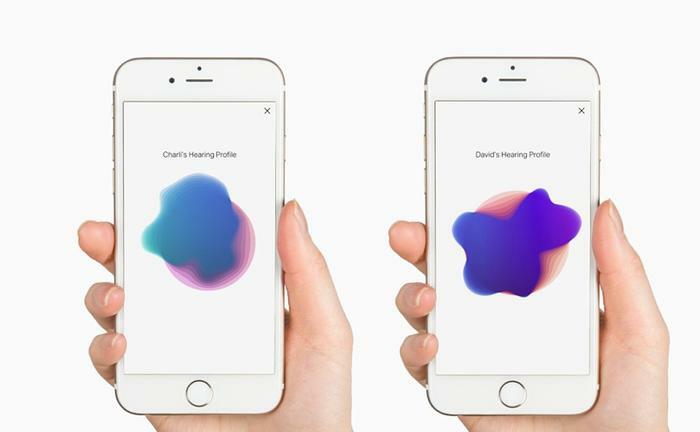 They promise to use a mix of clever audio engineering and machine learning trickery to make your everyday listening experience one that’s been individually tuned to the way your specific ears actually pick up sound. It’s a noble goal, and a refreshingly different pitch to everything else out there - even if it does see the Nuraphones veer into gimmick territory. The Nuraphones look both immediately familiar and subtly distinct from other, similar-looking headphones. At a glance, they’re all-black, polished and sleek with a metal headband and ultra-rubberized earcups. It’s really in the details that the differences begin to surface. 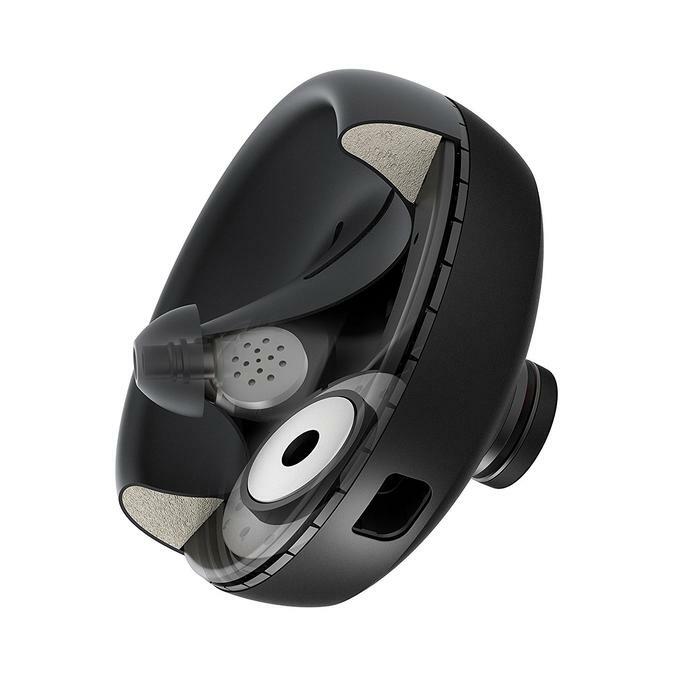 The Nuraphone’s feature a secondary set of ear-nodes within the cups themselves. Picture a set of in-ear headphones within a set of on-ear earphones and you’ve got the right idea. As you might expect, this gives the Nuraphone’s a slightly different and initially-unusual feel-factor when worn. However, it doesn’t take long for me to adjust and find them a pretty natural fit. After all, at the end of the day, these are still a pair of headphones. 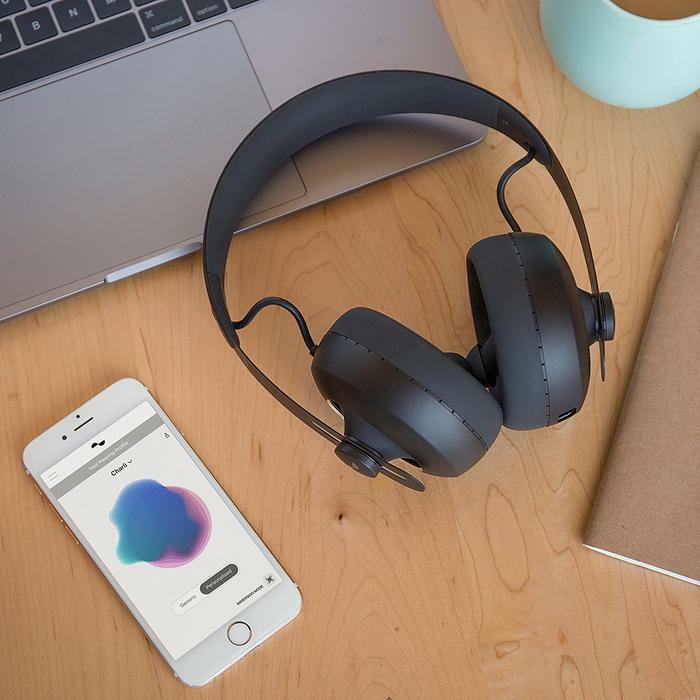 They might be headphones that are doing interesting and different things but - at their core - they’re still working from a broadly familiar blueprint. Frustratingly, the Nuraphones rely on a proprietary charging cable. While the headphones themselves do charge fairly quick and come with a hefty 20 hours of wireless playback per charge, the possibility of losing - and then having to replace - that innocuous-looking cable was definitely a concerning one. The Nuraphones feature a set of touch-sensors on the outside of each earcup. Thankfully, Nura have given you a pretty good spread of options when it comes to customizing these options. It only really covers the basics - but, most of the time, that’s all you really need. Being able to pick between using the earcup-sensors to pause and play music, call up your assistant or skip tracks is a solid feature that I’ll always encourage more headphones vendors to embrace. For better or worse. 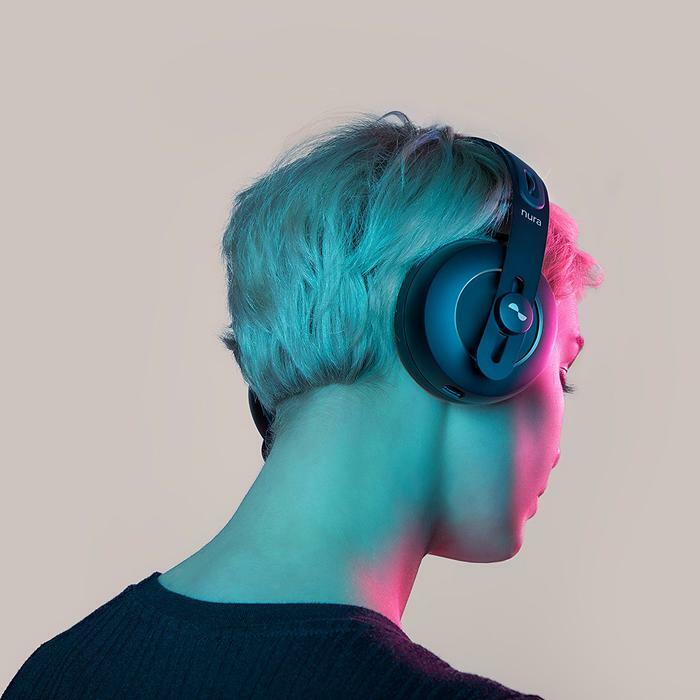 the Nuraphones come tightly integrated with a companion app, which you’ll need to download and create an account for if you actually want to access any of the features that set them apart from the other noise-cancelling headphones out there. Once you’ve overcome this reluctantly-necessary hurdle, you’ll be able to set a custom sound profile for yourself by running a quick hearing test. The nura app crashed a few times here but, eventually, we got there and I had my own custom sound profile - and audio through the Nuraphone’s sounded really good. Vocals were clear, mids crisp and a crunchy, if restrained, bass made for a great listening experience here. 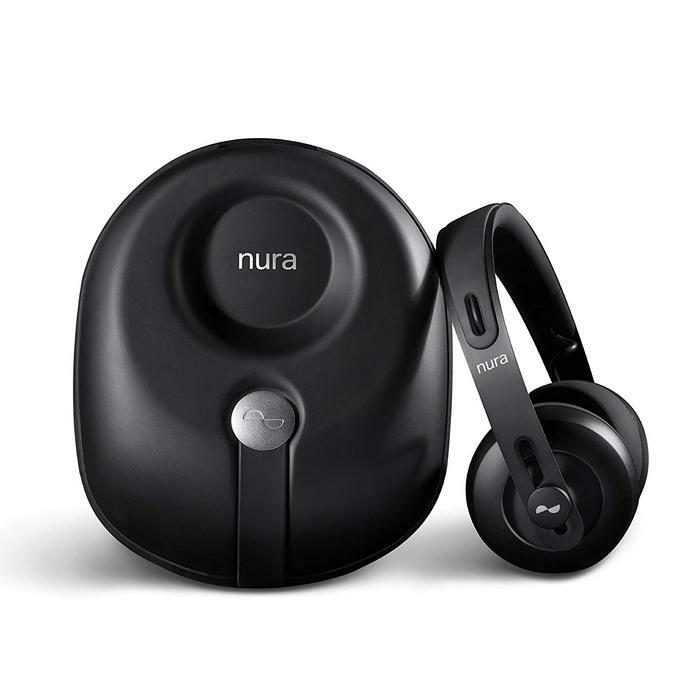 If there’s such thing as a universal shortlist of ‘things you want out of a quality pair of headphones’, my experience found the Nuraphones ticked more-or-less all the right boxes. However, in all fairness, it rarely felt like I was getting anything out of these headphones that I wasn’t my existing AKG and Sony noise-cancelling headphones. Whether real or imagined, the Nuraphone’s signature feature often ends up coming across as smoke and mirrors than anything else. However, in practice, it prompted me to question what the tangible differences were between what the Nuraphone was doing and what a regular EQ could accomplish. These headphones definitely sounded better once I had configured a sound profile - but prior to doing so I didn’t find that they sounded nearly as bad as that toggle later indicated. The Nuraphones also feature a nifty “immersion mode“ that uses a set of haptic triggers in the ear cups to simulate the feel of live music. Even if this is a bit of a gimmick, this is actually a pretty cool feature. Unfortunately, it’s only available if you have the Nura app open and connected to the internet. In the best instances, this feature adds another dimension to your listening experience that’s desirable and appreciated. However, equally as often, I found it actually clouded and clogged up audio playback. The Nuraphones aren’t the first headphones to offer this kind of custom sound-signature profiling. Others have done it before, and sometimes at a cheaper price. HTC’s USonic earbuds, example tout a pretty similar pitch and they come bundled with most modern HTC smartphones. Behind all the flair, the Nuraphones just failed to convince me that they’re doing all that much that I couldn’t accomplish using a cheaper pair of headphones and a decent EQ interface. The caveats that come with locking yourself into the Nura app didn’t help thing either. The Nuraphones are unique, and for people that’ll be enough. However, for a lot of others, I feel like they’ll struggle to justify their higher price-tag in the face of the increasingly-affordable noise-cancelling options out there. If you’re not an audiophile, $500 is a lot of money to spend on a pair of headphones - and while the Nuraphones sound good, I don’t think they sound quite that good.